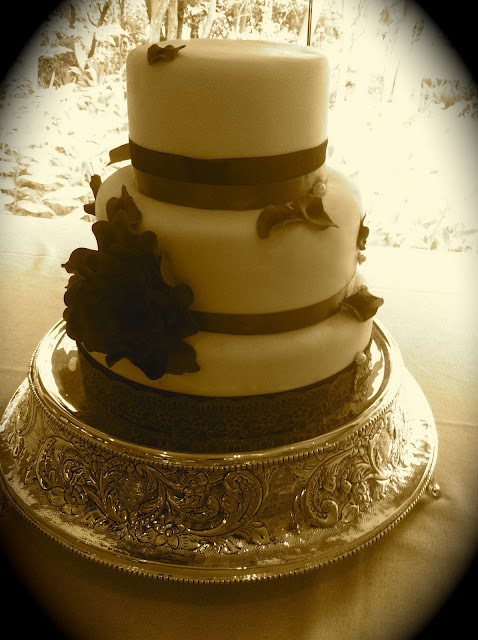 Wedding cake in Gauteng: The bride requested a white wedding cake with a charcoal-purple rose on the side. The ribbons and lace are grey, charcoal and purple. 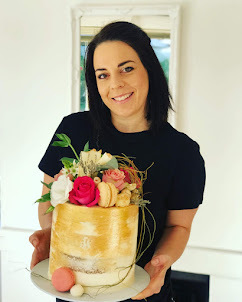 The top and bottom layer of the cake was victorian sponge with white chocolate butter cream icing and the middle tier was red velvet cake with the same white chocolate and butter cream icing. The Cake served 100 guests.